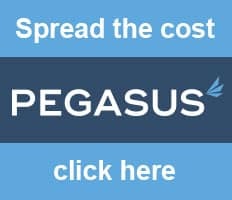 How Can You Buy Garden Storage Sheds at Affordable Prices? Garden storage sheds create a safe and dry place for gardening tools and materials, garden furniture, or whatever you want to keep safe in the garden. They provide the garden storage space just where it’s needed. Summerhouse24 carry a wide range of garden storage sheds of all shapes and sizes with and without windows for you to choose from according to how much space and security you need. 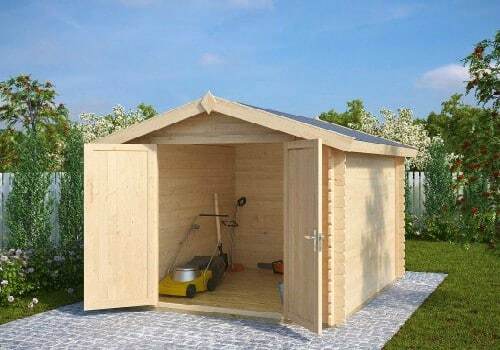 We have a great variety of garden sheds to choose from as for example the windowless Garden Storage Shed Andy M with 5m² of space ideal for storing all the gardening tools and a lawn mower. Sturdy 28 mm logs provide enough stability even to attach hooks or shelves on the walls and a large double door opens up much of the front for easy loading. An internal eaves height of 6’4” makes it fully accessible. If you need a bigger shed to store bicycles, sports-equipment or more machinery like garden shredders, pressure washers or alike, we would like to direct your attention to our best-selling garden storage shed Eva A with 12m², but even sturdier with 40mm walls. A cylinder lock keeps the storage safe and no windows allow curious by-passers to take a look inside. Of course, we offer garden storage sheds with windows in comparable sizes as well. For example, the Wooden Workshop Nora F comes with two opening windows high up on the wall, so that peeping in is not that easy, but you will have natural light in the inside. This garden storage shed offers an internal space of 8.5m² and also has sturdy walls with 40mm wall thickness and a double door. All these sheds come with a 5-year warranty, and are usually delivered to all the UK within five weeks from the order. We would also like to mention our garden houses with shed, where you find all the amenities of a summer house plus a built in storage shed opening to the outside. If you need any advice on our Garden Storage Sheds, please review our website or call Oliver on 020 3807 0369. He will be happy to answer your questions. You can also email him at [email protected] or contact us through our website. You can order your garden storage shed per phone, email or the website.